Leaves and grime can accumulate on your gutter over the summer. You should not leave debris on the gutters. Untouched debris will clog your gutters and drains allowing ice dams to form during winter. This will definitely affect the drainage system at home and leave you frustrated. How? Well, poor drainage system causes water to seep into your home, which is just a recipe for disaster. Increase in energy bills alongside other home issues are the last things you want to deal with during winter. So clean all your gutters and save yourself all the trouble. Most people want to cut down energy costs. Unfortunately, they do not do the necessary things to minimize the cost. Leaks can be a major pitfall for your home during cold weather. This is because they allow warm air to escape outside leaving your home colder. As a result, home heaters work harder to maintain a steady temperature, which causes a spike in energy cost. Therefore, you can add weather-stripping on all doors at home that may have cracks. Caulks are also ideal for sealing cracks. For external purposes, it is recommendable to work with silicone caulk because they rarely shrink. Furnaces are mostly used for the cold season. That means that they are left unused for many months. As the cold weather approaches, it is important to give it servicing to ensure that it works well when winter finally settles. On that note, ensure that the furnace is serviced every fall to get rid of sediment buildup that may have accumulated over the months. There is no doubt that spring and summer happen to be busiest months with numerous activities. Things usually pile during this time without your knowledge. Some of these things are usually unwanted and you may have to get rid of them. Hiring services for junk removal during fall can help you handle the problem. All you simply need to do is sort out your trash and have them ready for pickup. In addition, you can also get special bins for use during winter. This is because things can be messier in the cold season. These special bins help you to keep garbage in the right place and condition for easy removal. Therefore, ensure that you get the special bins from junk removal companies. The good thing is that you can find affordable garbage bin rentals to meet all your needs. It is important to make your home comfortable during the cold season. Do not let junk accumulation be a pain on the neck. 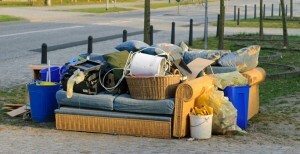 Simply hire junk removal services and you will be sorted out. Moreover, work on other things such as leaks and gutters. Gutters should always be clean and clear. If they are blocked, you are likely to have water issues at home. Leaks increase energy costs during cold weather as they let warm air escape outside. Lastly, service your furnace to ensure it is in the right condition when the cold weather settles in. Contact Kanne (Swann Rubbish Removal) on 0414 434 257.